Update, December 14th, 10:07 UT: Linden Lab has issued an apology on the specific situation involving Strawberry. Included in the blog post is a broader statement concerning the use of their trademarks and the guidelines thereto, and how the Lab will be revising things somewhat for the future. The apology and statement are both welcome (not the least by Berry herself! ), and kudos is offered to the Lab for openly admitting the error both reasonably quickly and positively. As I was heading for bed last night, I caught a blog post by Strawberry Singh concerning a trademark complaint she has received from Linden Lab. Specifically, Berry was informed that a video tutorial she had produced a year ago had been found to be in violation of the Lab’s Trademark Guidelines. These guideline specify how terms like Second Life®, Blocksworld®, SL™ , InSL™, and the eye-in-hand logo might be used. Berry, as a blogger / vlogger, thought she was in compliance with the above requirement. The replies she’s had from the Lab – both through Tia Linden, the Lab’s IP Specialist, and other Lab personnel indicate this is not the case. One possible way of looking at this issue – and according Linden Lab due fairness in their possible concerns – is that YouTube is a platform with a reach that goes well beyond that of a Second Life audience. As such there could be concerns about the use of the various logos and trademarks, etc., being seen as some form of “official” production – or, were they to be used with other content related to Second Life – as an implied “endorsement” of products, activities, etc. However, were this the case, the matter could perhaps have been dealt with through a request for a suitable disclaimer to the start / end of the video and to its YouTube description. More specifically, we do not allow images of our avatar building page, home pages or Second Life Eye In Hand Logo to be used in any capacity. Please do not use images of any Second Life web pages or logos ( with the exception of our inSL logo noted at http://secondlife.com/corporate/brand/insl/#) in your video or any other work. You may provide a link to our website or registration page in your video if you wish. Note the bold emphasis is mine, to underscore the specific issue: the statement that certain images and logos now cannot be use in any capacity. If this is now the case, it is worrying for many of us who routinely blog about Second Life and have used such images and logos. I have, for example, used the eye-in-hand logo in what I have believed to be in accordance with the trademark and branding requirements. Where do we now stand if we are now seeing a shift in position from Linden Lab? Are we now in violation of a new prohibition on image use? Are the various guidelines on trademark and brand use about to be revised? If so, how do such chances sit with conception such as Fair Use? Of course it could come down to poor wording within an e-mail, and the underpinning reasons for the notice don’t extend beyond the one specific video. But if this is the case, then we should still be given further clarification on the use of images and logos. I’ve written to Linden Lab raising these broader questions on the use of logos and images. Hopefully, I’ll receive a reply and will follow-up with a post should this be the case. 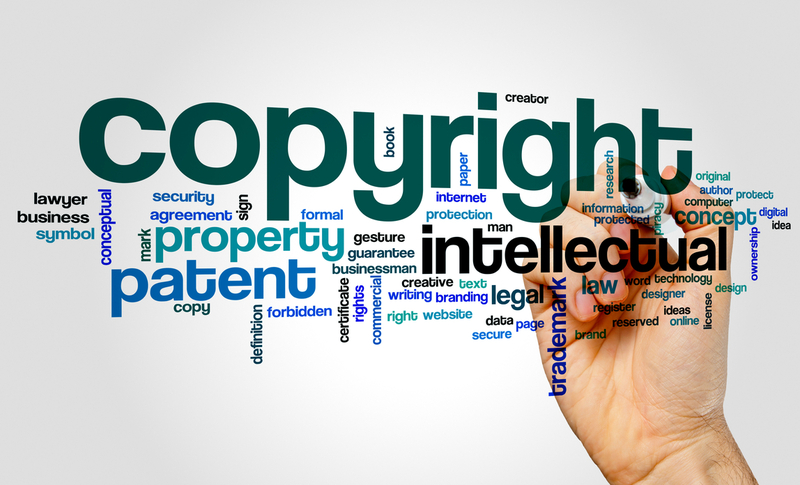 On Saturday March 1st, members of the Second Life Bar Association (SLBA) – real-life attorneys – sat down at the SLBA’s auditorium to discuss matters relating to copyright and fair use as they apply to US law and might impact content creators in Second Life. In attendance were Agenda Faromet, who in real life is an attorney specialising in privacy and internet law operating out of San Francisco and Tim Faith (SL: Yoss Kamachi), a Maryland attorney with a strong background in IT and who deals with matters related to copyright, IP, trademark, etc. In all, the session lasted just under 90 minutes, with initial presentations by Tim and Agenda, followed by joint coverage of a number of fair use cases in the US, prior to an open Q&A session. An audio recording was made of the meeting, but suffered somewhat from microphones being overdriven.